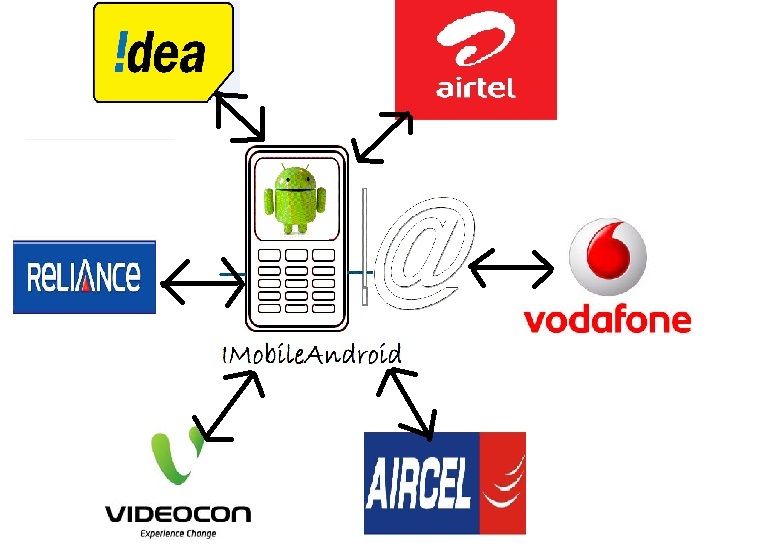 Prepaid Postpaid Number Portability Procedure in India. Mobile number portability is a facility that enables a user to change user’s network provider without having to change user’s mobile number. 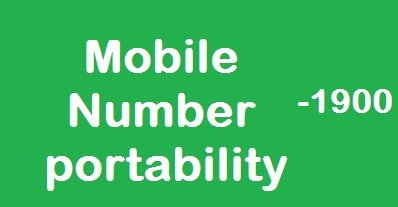 In India, Mobile number portability started from 20-01-2011. In India, Number portability is only allowed in the circle only (Within a State) that means it is not allowed nation-wide. However, one can port ones number form GSM to CDMA and vice-versa and between pre-paid & post-paid options but that too within the circle only. The master database for Mobile number portability in India is managed by third party firms like Syniverse for Zone-1 and Telcordia for Zone -2. There is one restriction for Mobile number portability that you cannot switch to another network operator until you have completed a 90 days period with your current network operator. If you are irritated from Service provider automated call, then do follow the steps described in DND – Stop Ads SMS Call Post. Step 1: Firstly, Write a message stating PORT <Space> < Mobile Number> and then send it to 1900. After doing that you will receive an 8-digit alpha-numeric Unique Porting Code (UPC) from 1901. This Unique porting Code is valid for 15 days. Step 2: After receiving the UPC, just go to the office of the network operator that you want to switch to. Fill a form and give them 19 Rs. And Unique Porting Code. And also furnish your personal details like Identity proof, Address Proof and Passport size photographs. Step 3: The Network Operator will hand over you an empty SIM, after the document submission and payment. And then within one day you will receive a message to confirm porting. Step 4: Once you confirm the porting, then within next 7 days changes will be done. Step 5: Finally, you will get a SMS from your operator with porting time and date. Step 6: Now insert the new SIM into your phone and you are done with the procedure. If you still have any doubts regarding porting then do comment below. Let us see what happens..
Its has been almost a week that I’ve contact the customer care services and tells them about the problem of my mobile no. That it has been bar since 20th/ May/ 2015. But till this very particular moment they haven’t do nothing yet. I have converted my no from CDMA to GSM as handsets are not available now and almost more than a week my Nos. are still switched off and your people in Chd and Mandi do not attend our ph calls. We think that we shall go in court. Really it is very irresposible of your people working at Mandi (HP) and Chd. Mr. Santosh . They should not be in the company as if you cannot provide the service or listen to the customers or take their calls. A serious action should be taken about this. I would rather suggest every1 to leave reliance. I HAD PORT MY NO. IN BSNL BUT TILL TIME I AM SUFFERING FROM INCOMING AND OUTGOING PROBLEM AND ALSO NO USSD CODE IS GIVING OUTPUT. SO KINDLY SOLVE MY PROBLEM AS SOON AS POSSIBLE TO FEEL FREE TO ENJOY THE SERVICE. Hai, i have ported my tata docomo sim from prepaid to postpaid one month before, i have even paid one month bill amount, after payment my sim has been disconnected with out prior information. I had called to customer service, they mention that proof of address is not proper, they haven’t even checked my address proof properly. now my sim is not active, i need the process to be carried soon for activation and i want to change my post paid to prepaid. please suggest the solution for the above problem. Hi ! I have ported my sim from idea to bsnl four times in last six months. But not yet done porting. Both operators making me fullish and lalking about one-anothers mistakes. Please start my new card in bsnl instade of idea. Please help me for mobile Portibilty since 3days I have unable to use vidiocon service. Please help me for Portibilty. Right now mobile signal is not coming so please help me for mobile Portibilty. Need to port my number. I am following these steps now. Sir, I am using my Docomo sim for the past 6-7 months. I first opted for the postpaid scheme for three months and then shifted it to prepaid. But after one month from the inception of my prepaid scheme, DOCOMO disconnected the line due to some verification error. I have again submitted the documents but they forced me to take prepaid as according to them a disconnected line cannot be connected to prepaid scheme. 2-3 days back the line got connected as postpaid. Since I am fed up with this operator, I want to port it to Bsnl right now. Is it possible? Please reply soon. My Videocon no is now deactivated I want this port in Airtel please help me I have not porting code please send me porting code on my no. But, sim is not activated, its showing signal in my phone.. how to activate my airtel sim. I have migrated from Postpaid to prepaid and applied for MNP the next when the connection was migrated to prepaid but they have rejected saying that it is a new sim card and it need to be used for atleast 90 days. Please clarify me, as I am with same service provider and I think it is not an issue. in Prepaid Number Portability Procedure in India, step 3 while porting my reliance gsm mobile to airtel I received a message from 59109 that my application for porting mobile number 8100653 – -3 has been received. Step 4 , As you have written that after confirmation application will be processed . But I can not confirm as I don’t know to whom confirm and my reliance mobile has no network signal now. I have Tata Docomo postpaid no.can I port to another network.I just fed up with this network.Since 5 month I’m continuously running to Docomo office to change my number to prepaid.I have submitted all documents also.Unnecessary I m paying bill every month.so as soon as possible i switch to another n/w.so plz do suggest. yes, but if you want to port to another network, first you have complete 90 days in the current network from the day of activation of your mobile number.You have to give Rs. 19 for this process. The whole process takes 7 days for implement.